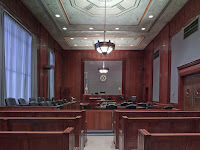 ﻿ The US Supreme Court has denied Odyssey Marine Exploration's application for a stay pending the filing and disposition of a petition for a writ of certiorari (i.e. a request to have the court review the case). Justice Clarence Thomas ruled on the matter today, docketed at 11A745. Days ago the eleventh circuit court of appeals ruled in the case of Odyssey Marine Exploration, Inc. v. Kingdom of Spain, et al. that Odyssey could not postpone the return of the so-called Black Swan treasure to Spain while the commercial salvor appealed the case to the nation's highest court. Odyssey took the items from a Spanish galleon--the Nuestra Senora de las Mercedes--that sank in 1804 and was discovered in 2007. Spain has contended that the galleon is a Spanish warship subject to protection from salvage. On February 3, attorneys for Odyssey Marine filed their application to stay the court of appeals' decision. The supreme court's denial followed on February 9.